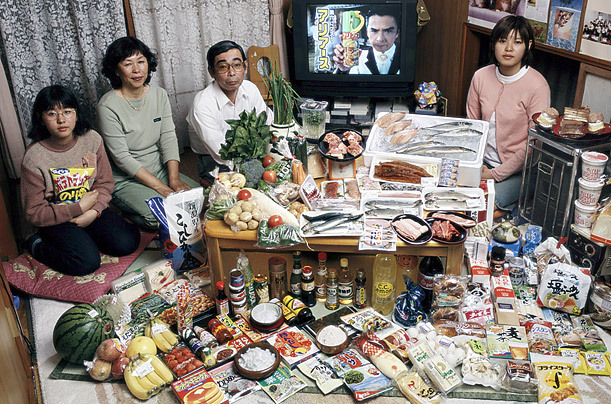 TIME's "What the world eats"
Update: picture quality improved. 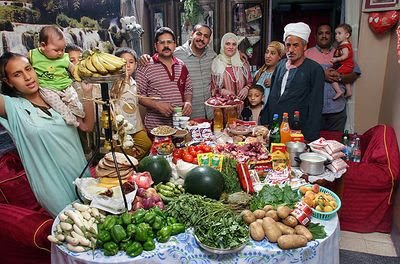 .. Click pictures for full size. 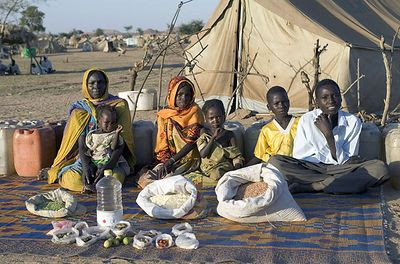 Breidjing Refugee Camp, Chad: United Nations Food Distribution Center. 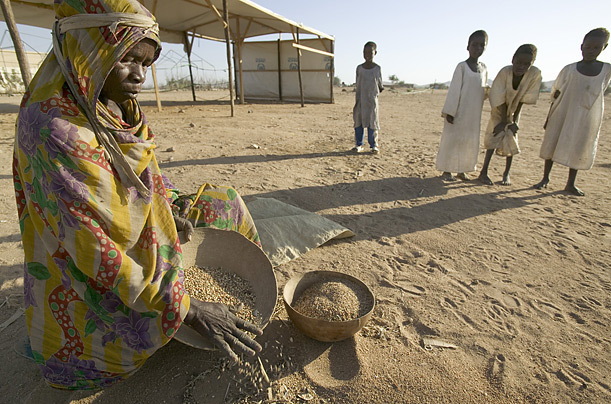 A refugee woman sifts through sand in order to pluck out any bits of grain which might have dropped to the ground during the previous day's ration disbursement. 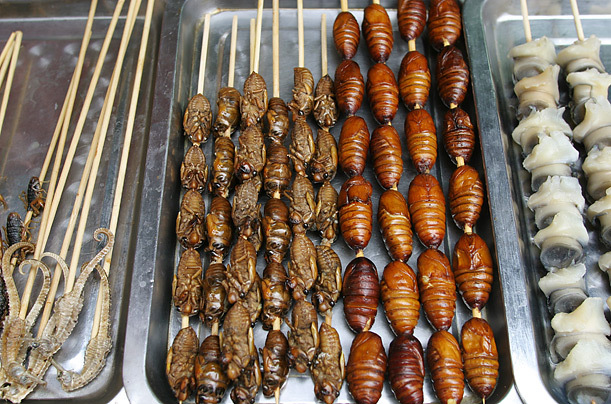 Beijing, China: Snack Tray. 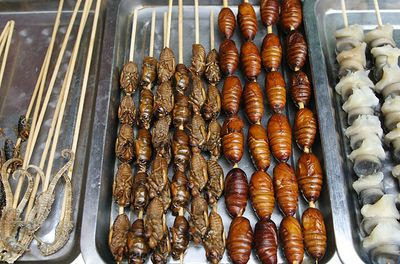 From left: skewered sea horses, cicadas and silkworm pupae are sold at a street market in Beijing. 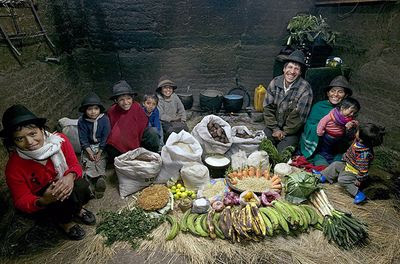 Check out all 27 families and 17 food settings at the photo essays at TIME.com: Part 1 (16 families), Part 2 (11 families), Part 3 (17 food settings).